MouseHunt Puzzle Trap tests your puzzle solving skills to capture animated mice by coercing them into your trap. Pop obstacles made up of two or more matching stones, explode bombs to clear troublesome obstructions and use enticing cheese to draw your foe into the trap. 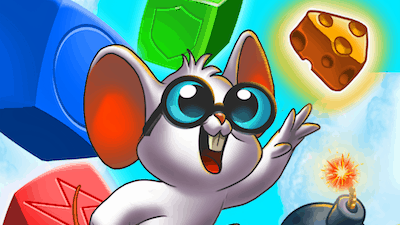 Earn gold as you experience gorgeous graphics, enthralling gameplay, challenging levels and capture loads of fun mice. Do you have what it takes to conquer the strange lands of Gnawnia, Burroughs and Furoma?